Laughter is a simple way you can shift your energy, move through blocks and move your mindset from fear to LOVE. Here’s the incredible thing about laughter’s affect on our body and our brain….. The brain responds to laughter whether it’s REAL or fake! Even pretending to laugh sends the message to the brain to release Feel Good Chemicals like Serotonin, Dopamine and Oxytocin. Here’s a video I made to get you started with Laughter Yoga. This was filmed at the Liberian Leadership & Prosperity Conference in 2014. 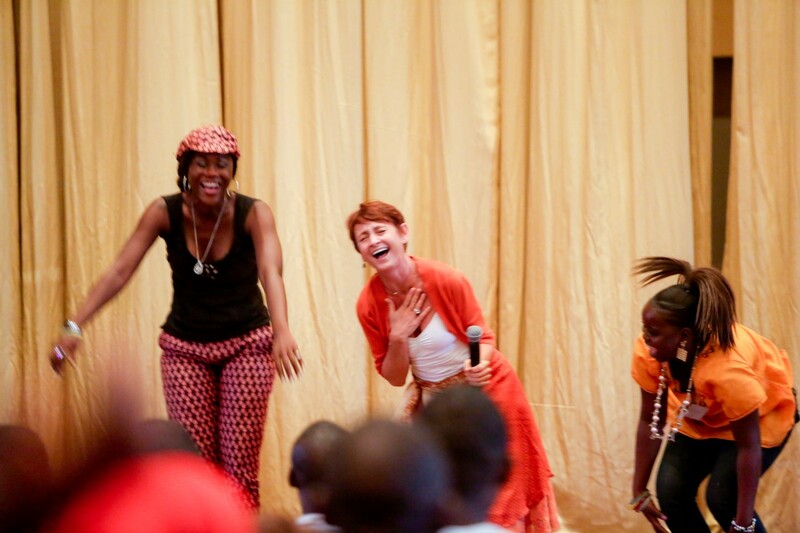 You’ll see that even in a country where life in the aftermath of 15 years of war and the more recent Ebola outbreak (I was there just as that was starting) is VERY real, laughter brings healing and LOVE.